With the holiday season almost upon us, so are school holidays and the dreaded dilemma, ‘How do I keep the kids entertained?’. 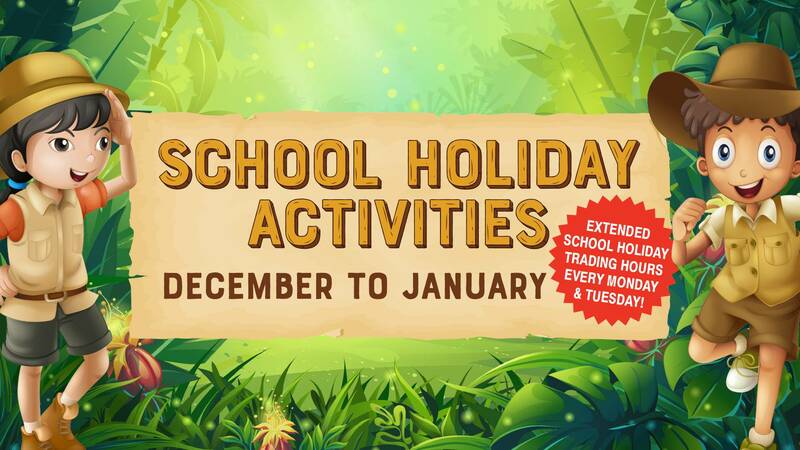 North Lakes Sports Club is the place to be these school holidays with six weeks of craft days on offer plus a kid’s wildlife show in the New Year. The free festive craft days begin on Friday 21st December and run weekly until Friday 25th January from 11am to 3pm, or while craft stock lasts, in the Explorers Kid’s Club. “Each of these events are free for members’ children to attend and provide an opportunity for parents to have lunch or a coffee break while the kids are busy creating masterpieces,” said Mr Sartori, General Manager. “The free craft activities include fingerprint baubles, Christmas cards, tie-dye coasters, paddle pop frames, superhero masks and fairy wands, and make your own slime. Whilst no bookings are required for the free Kid’s Club craft days, the Geckoes Wildlife Show tickets start from just $5 per child (Kid’s Club member). Parents are encouraged to book their child’s ticket early as the wildlife show will be extremely popular during the school holiday period. To book the Geckoes Wildlife Show tickets or to find out more about the Kid’s Club free craft days, visit www.northlakessports.com.au/kids-club/kids-club-events/ or call North Lakes Sports Club on 1300 006 572 today.